Facial fillers are a range of materials used to inject into the wrinkles and aging parts of the face that can help improve the skin’s texture and contours to reduce the signs of aging resulting in a more youthful and rejuvenated appearance. Why do people choose facial fillers? 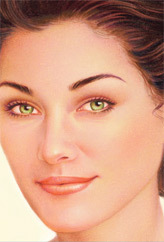 As we age the underlying tissues that create a full and youthful appearance begin to weaken, stretch, and break down. 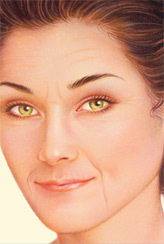 The effects of gravity, sun exposure and facial movements from smiling to squinting also begin to age our appearance. Crow’s feet, or wrinkles around the eyes, can also make us look older than we feel. 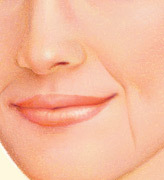 Aging also causes the tissues of the cheeks to droop and look sunken. In addition, aging also flattens lips and further outlines wrinkles around the mouth and face. Facial fillers such as brand names Radiesse, Juvederm, and Perlane are all options in our office to reduce these signs of aging and restore a more youthful and rejuvenated appearance. What can I expect from facial filler? Facial fillers can target problem areas by filling in lines and wrinkles, plumping lips or cheeks and leaving the areas around the mouth smoother and wrinkle free. Side effects such as redness or bruising are minimal and generally resolve within days. Many facial filler injections can offer months to years of more youthful and rejuvenated skin without the need to undergo costly and prolonged surgical procedures. Dr. Armenta will help you choose the right facial filler for you including Radiesse, Juvederm or Perlane and discuss the pros and cons of all other facial fillers available. How can I learn if facial fillers are right for me? If you’d like to make an appointment for a consultation to learn whether facial fillers are right for you; contact Dr. Art Armenta’s office. Dr. Art Armenta is a Diplomat and certified by the American Board of Plastic Surgery and is a member of the American Society of Plastic Surgery.